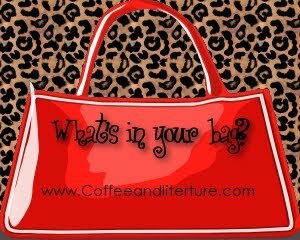 What’s in your bag today? This is the first “What’s in your bag?” post! I’m doing this quite late so the post will be on Wednesday instead of Tuesday, but it will be on Tuesdays normally. This week I’ve been a busy blogger! I’ve been out of town one day already, and I have to go out of town again today, so I have been carrying more than the normal things in my bag. So, what’s in my bag? On the left, the panda bag was a bag I’ve had since college (hence, my sorority letters on it) and I use it to hold all the little stuff under it–Tide pen, GermX, gum, almonds, candy, Clinique mirror. My bag is a Roots Canada Large Hobo in Vintage Prince Leather; on top of it you can see my iPhone 4, receipt from Starbucks, calorie counter book, mini-Moleskine, Coach wallet & Brighton change purse, and my bag hook from Glassworks in Louisville. On the right, I’ve got my Moleskine planner & another mini-Moleskine, rosary & St. Michael chaplet, Coach keychain/id holder, iPod classic, Vera Bradley pouch with my iPod nano & thumb drive, Brighton tape measure (more handy than you think! ), Splenda tablets for when I go somewhere that only has sugar & sweet-n-low, Vera Bradley pen/pencil pouch with lots of pens, and my keys with various membership cards, etc. attached. Today was a minimal day, actually! The book I’m currently carrying with me is 1984 by George Orwell. My 10th grade students are reading this for their summer reading, so I’m rereading it, too. It is still as good as I remember! For a teaser from 1984, see this week’s “Teaser Tuesday” post. 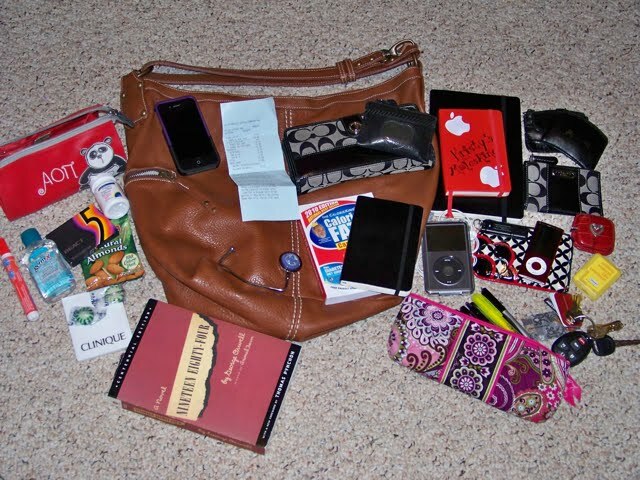 I hope you enjoyed my version of the strange, but curiously addictive, “What’s in your bag?” phenomena. Let’s see yours! 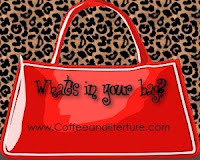 Previous Post Introducing…What’s in Your Bag?